Nobody could argue that designer tiles 'can't stand the heat', as many of them were born in a kiln in the first place. So it's no surprise that designer tiles are not just for use in the bathroom - although we often focus on that room of the house as a place of solitude and retreat from the business of the day. But luxury kitchen tiles can transform another of the home's most important spaces, which must not only be practical and hard-wearing for daily use, but also welcoming for those who see the kitchen as the heart of the home. Just like in the bathroom, luxury kitchen tiles made of natural materials, or with a natural appearance, can offer a tactile surface that is a little more welcoming and emotional than hard synthetics. 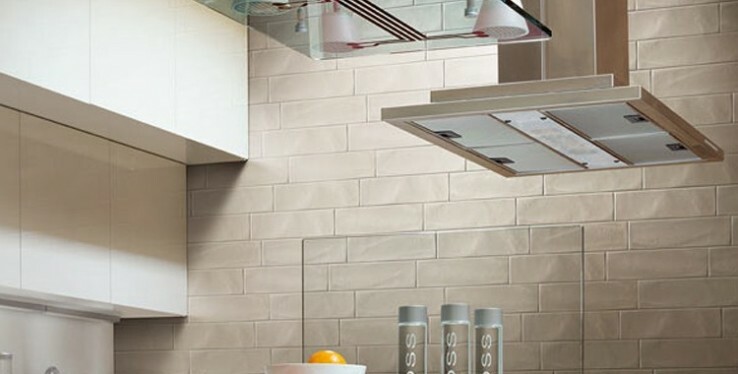 Tiles can be used on the entire wall, or for a feature wall or splashback, offering good resistance against water and oils when placed behind the sink or cooker, or any preparation areas where the wall may sometimes get splashed. Large format tiles are perfect for kitchen floors, where you are likely to want a surface with as few joins as possible, reducing the risk of tripping when carrying hot pans, while again being easy to clean in the event of a spillage. You might even consider tiled worktops, as an alternative to synthetic or wood work surfaces, as tiling can quite easily create a consistent visual effect even if the worktop rounds a corner or is irregularly shaped in some other way. The versatility and durability of kitchen tiles makes them perfect for almost any surface in the room, giving you a nearly endless list of possibilities when creating features in your kitchen, without having to compromise on the usability of the space at the same time.